If only that were the headline coming out of Westminster Abbey with regard to the infamous urn believed to contain the remains of Edward V and his brother Richard, Duke of York (aka “the Princes in the Tower”). But, it’s not. It’s from Winchester Cathedral, where – since 2015 – they have embarked on a project where skeletal remains are being analyzed with modern laboratory techniques. 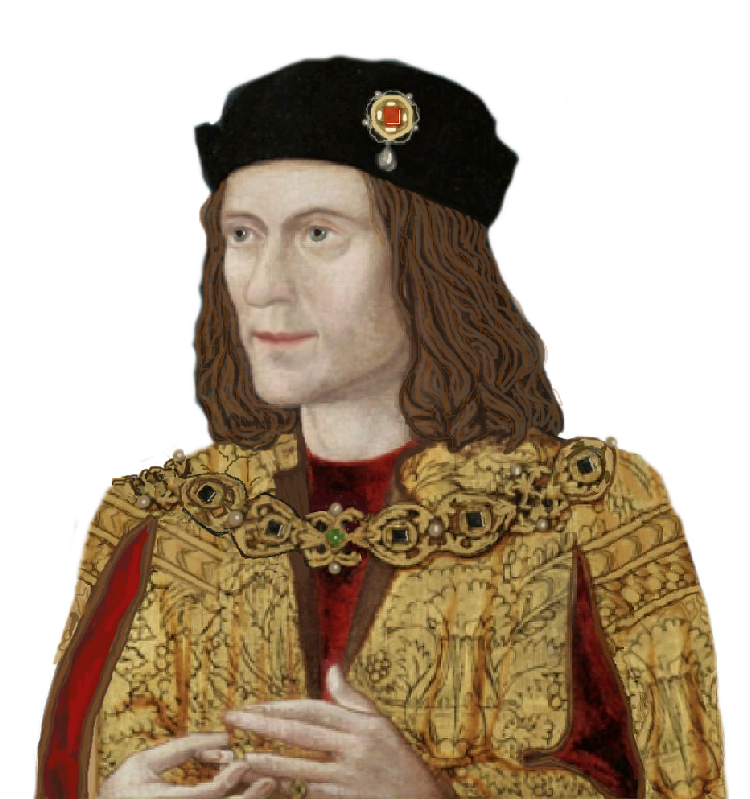 The bones, some belonging to past English kings and a queen-consort, had been stored in Renaissance-era mortuary chests and placed near the high altar. There could be as many as 12 individuals contained in them. We’ve all heard the arguments against testing the bones in Westminster: It sets a precedent for widespread tomb-raiding. The urn has multiple skeletons, making them indistinguishable. The amount of information gleaned would be minimal. Royal bones deserve to be left alone. None of these arguments dissuaded the Dean and Chapter of Winchester from pursuing historical truth and conservation. The project, which will culminate in an exhibit (called “Kings and Scribes: The Birth of a Nation”) about the Cathedral’s Anglo-Saxon and Anglo-Norman origins, involves opening the chests, taking an inventory of what’s inside, and having the contents analyzed. So far, radiocarbon testing performed at the University of Oxford has confirmed that the bones come from the late Anglo-Saxon and early Norman periods. More research on the bones will be carried out by the University of Bristol to determine their gender, age at death, and physical characteristics such as stature. The chests are thought to contain the mortal remains of some of the early royal families of Wessex and of England, and three bishops, amongst other artefacts and mortal remains. They include kings Cynegils (d.643), Cynewulf (d.786), Ecbert (d.839), Æthelwulf (d.858), Eadred (d.955), Edmund Ironside (d.1016), Cnut (d.1035) and William Rufus (d.1100). Also thought to be buried in the chests are Cnut’s wife Queen Emma (d.1052), Bishop Wini (d.670), Bishop Alfwyn (d.1047) and Archbishop Stigand (d.1072). These individuals died and were buried in the Old Minster, but were re-interred when the present Winchester Cathedral was built over the Anglo-Saxon one. Historical records indicate that their bones were placed in the mortuary chests around the high altar in the twelfth-century. However, in 1642, at the beginning of the English Civil War, Parliamentarian troops entered the cathedral and toppled the chests in an act of sacrilege. The church officials, who had no way of knowing which bones belonged to who, simply placed them back in six Renaissance-era chests. They have been opened several times since then, but with the advent of modern forensic laboratory tests, the Cathedral staff believed the interests of historical inquiry made a strong case for the project to proceed. Let’s hope this may bode well for a change in the Abbey’s and monarch’s current position against disturbing the bones in the Urn, although it’s not likely. The title sounds like a fairy tale, doesn’t it? Well, I’m once again going to address the matter of those pesky princes in the Tower as I found myself recently debating with several folks who still want to hang on to a certain rather improbable fairy story about them—the one created by our ‘favourite’ saint, Thomas More. We all know about the two sets of bones, undated and not properly sexed, that are currently sitting in an urn in Westminster. Enough has been said about them on this blog and elsewhere, at least for the time-being. But what about other remains found over the centuries that have been thought to be the princes? They are more bones than there are boys. Two children’s skeletons were said to have been found walled up in a hidden chamber in the Tower during the time of Sir Walter Raleigh (the early to mid-1600’s). 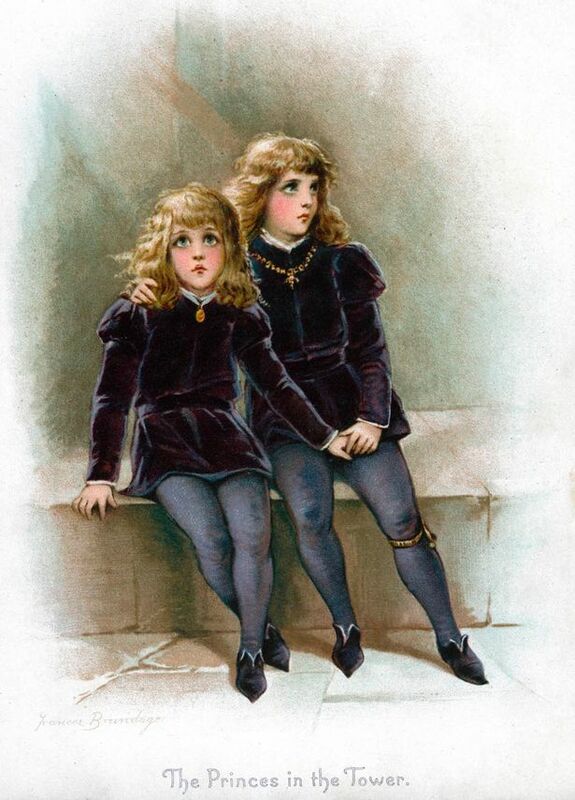 Supposedly found laid out on a table, the bones were immediately believed to be the missing princes…despite their ages being estimated at between six and eight, too young to be ‘our’ princes. That said, of course there was no archaeology or osteology in the 1600’s and any guesses as to age at death or cause would be very untrustworthy indeed. However, the idea that they were the princes had some backing….Jean Molinet, the French chronicler and poet, who died in 1507 (so someone who lived at the time the princes vanished, although he was not in England at the time, and was of course, French, which meant his writing would show the English in as bad a light as possible) wrote that the two boys had in fact been bricked up and died of starvation. However, this tale rapidly seems to have been forgotten (presumably because Molinet was not a saint like Thomas More, and he was French to boot) and the two children’s skeletons vanished who knows where. Later, of course two coffins were also discovered in a sub-vault adjacent to the main crypt when Edward IV’s tomb was opened in 1789. These were supposed at the time to be the coffins of his children Mary and George, who had died young; however Mary and George were found in different parts of St George’s chapel at a later date. Sounding likely for the princes? Only until you realise we don’t know if these ‘children’s coffins’ were in fact for children at all (they were only supposed to hold children) or again, what date they were from or if that sub-vault was from another era altogether. Substantial re-ordering in the chapel had taken place throughout the Tudor era and there were later works too. Records are sketchy and contradictory…at one point 14 year old Mary, whose body was apparently very well preserved, with open blue eyes and long golden hair that had infiltrated through chinks in her coffin, was mistaken for the middle-aged Elizabeth Woodville, her mother! Back to the Tower of London itself, another child’s skeleton was found at a much later date….in modern times, 1977. Once again, this individual appeared to be that of an adolescent. Examination by a modern bone specialist showed it had male characteristics. A missing prince? No, carbon dating showed it was an Iron Age boy from before the Roman occupation of Britain. So there have been seven possible princes. We could add an eighth if you want to include another set of bones found in a high up turret in the great Norman fortress—first touted as a lost and heinously murdered prince, it turned out the bones were the remains of an escaped ape! Many would still argue that More identified the ‘right place’ (ignoring the fact of course that his history says the princes were later moved from the tower staircase by a solitary priest) and that it would be too much coincidence.…but maybe the reason he chose that spot for the ‘scene of the crime’ is simple. Perhaps occasional human bones turned up around that area (as they still do today, it would seem.) Centuries before archaeology existed, people like More would only assume one thing.